3 Weeks to Go – Festive Finishing Touches for £15 and Under! Everyone wants their home to look extra special over Christmas, and we’ve got just what you need to get the festive look for next to nothing! From setting the table, to adding festive candles and finishing off the tree, we’ll help you turn your home into a showstopper with these festive finishing touches for £15 and under. Watch our video to see how we gave some lucky families a big surprise! If you’re looking to add rustic charm to your home, our Christmas range is full of wonderful pieces that make great table decorations. 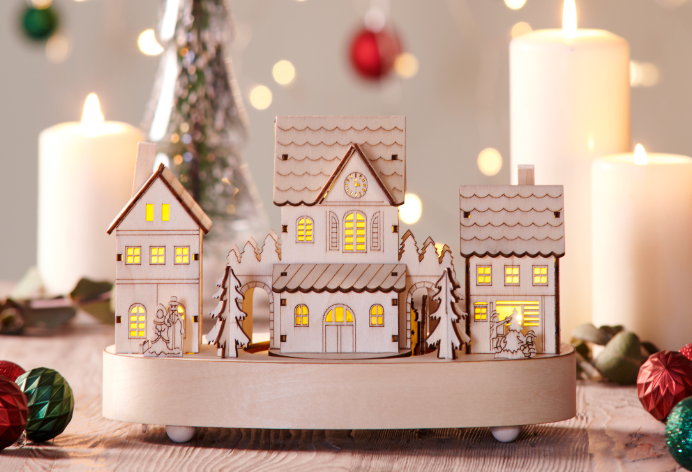 This £12 enchanting wooden village with LED lights from our Alpine Home collection instantly injects some cosy charm into any setting. Lit up by three warm white bulbs to illuminate the whole village, it even plays a ‘Merry Christmas’ melody to really get you into the Christmas spirit. 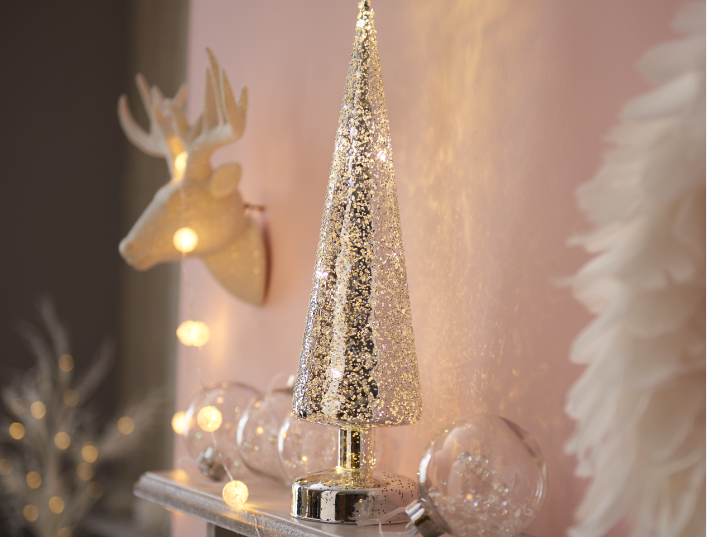 Light up those long winter nights with this £8 Medium LED tree light from our Winter Wonder collection. Perfect for adding a magical feel to your mantelpiece or adding style to your table, this battery-operated lights can be positioned anywhere for extra sparkle this festive season. We’ve created this stylish light in silver, as well as gold and copper to perfectly complement your Christmas colour scheme. We’ve got both large and small designs in gold or silver to perfectly complement your Christmas colour scheme. 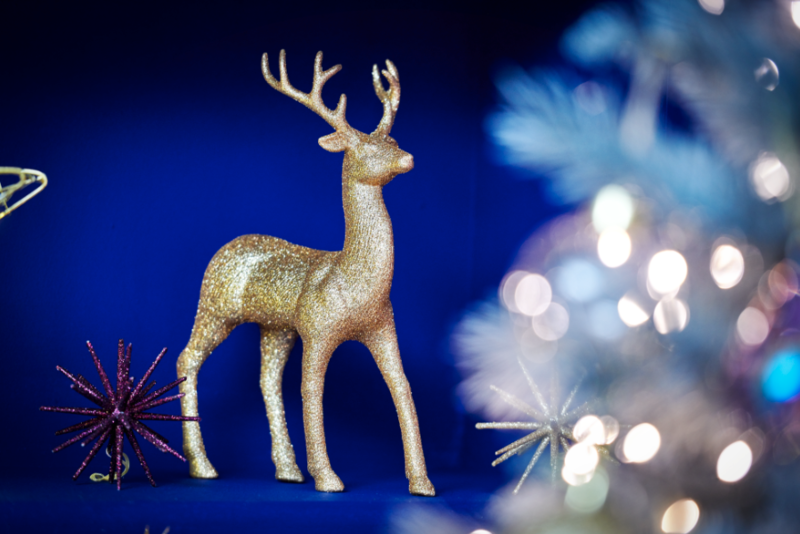 Simply pair with gold or silver baubles around the stags for a beautiful finishing touch.